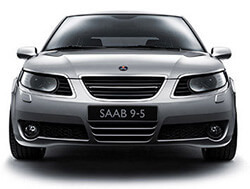 At Joe Davis Autosport, we know that to drive a Saab is to experience luxurious comfort, intuitive design, and an experience that’s closer to flying than driving. We also know that these beautiful driving machines demand expert maintenance to keep them driving safely on the road. That’s why we are proud to offer the best Saab repair service in the Perkasie, PA area. Our ASE certified technicians provide top quality work at a reasonable price with a quick turnaround. Our speedy service is fueled by our goal to please the customer above all else, which we’re able to do thanks to our relationships with leading parts suppliers. We also offer a 24 month/24,000 mile warranty on all of our work. But just in case you need to get somewhere after dropping off your car, we’re happy to offer free local shuttle service so that you don’t miss a step. Additionally, we have a loaner car available for our customers. Should you choose to wait with us during your Saab repair service, our friendly staff will help make you comfortable in our waiting room, which features free Wifi for use with your smartphone, tablet, or laptop.